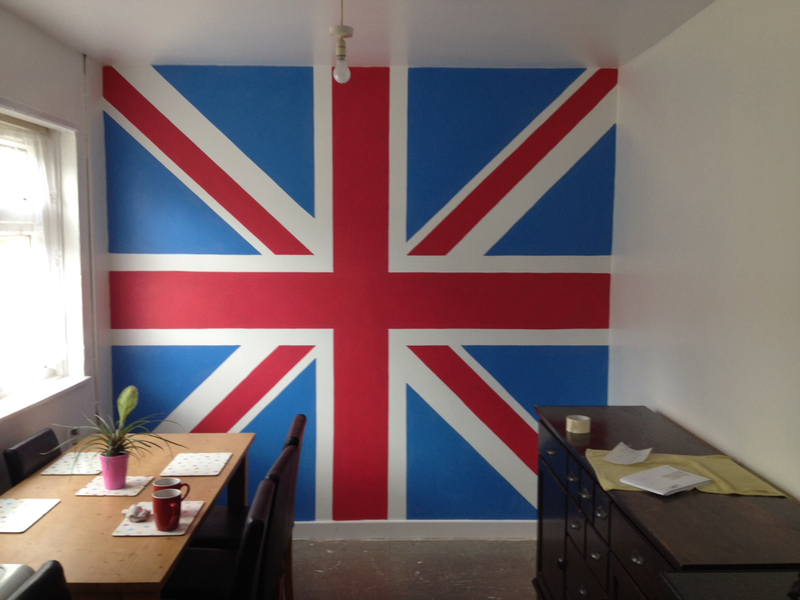 Friday, back onto painting... 12ft square union Jack on a kitchen wall, for a lovely lady. Few problems to start with as the wall wasn&apos;t straight and the top of the wall bring smaller than the bottom. Not that it&apos;s noticeable. We measured out the initial cross and then pro rata the measurements towards the corners. It looked great in and a I needed a very steady hand. The day finished nicely (and late) with a couple of project bookings for September.